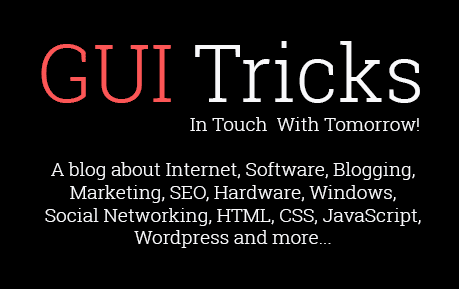 5 Common Mistakes In Product Marketing | GUI Tricks - In Touch With Tomorrow! 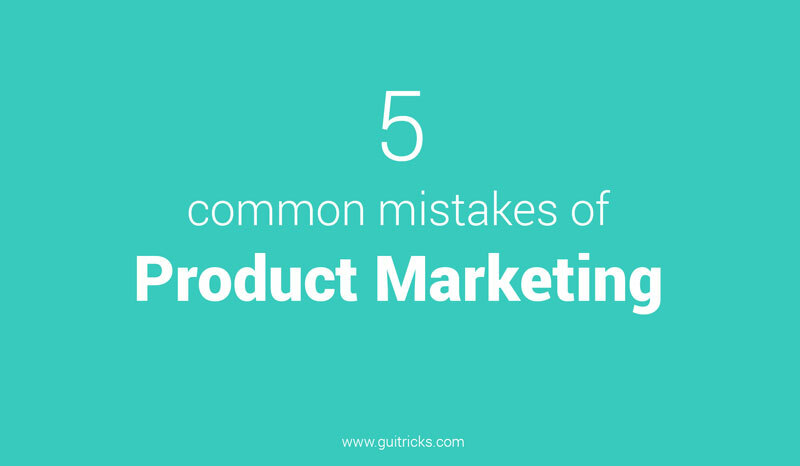 5 Common Mistakes In Product Marketing - GUI Tricks - In Touch With Tomorrow! Bringing a new product to the market requires taking multiple necessary steps in order to ensure that it gets the traffic that you desire. Even the most experienced online marketers tend to make mistakes and not get the wanted results, which are usually based on overlooking some of these steps. If your marketing campaign isn’t getting you the results that you are looking for, maybe you are making one of these 5 common mistakes. The most important aspect of marketing your product is understanding and properly targeting your audience. If you are basing all your efforts on the content before getting to know your audience, you are doing it wrong. You need to identify your customers, research them and get to know what they want. This probably means that you have to make super-focused content, which is exactly what you’re looking for, since this kind of content will entice the most engaged potential customers. Sometimes you will target a niche within a broader market, which comes with its own expectations about content. You have to keep in mind that in thegroup that you have selected there are individuals with a different level of education and economic background, as well as other factors that take part in how they will respond to your content. While the choice to use basic language may fit your younger audience with less experience, it may throw off someone who is highly educated and has a lot of experience with the product. This means that the best idea is to create multiple content pieces with the same general message, but tweaked appropriately. The focus of marketing your product has to be on educating your target audience first, before selling it to them. 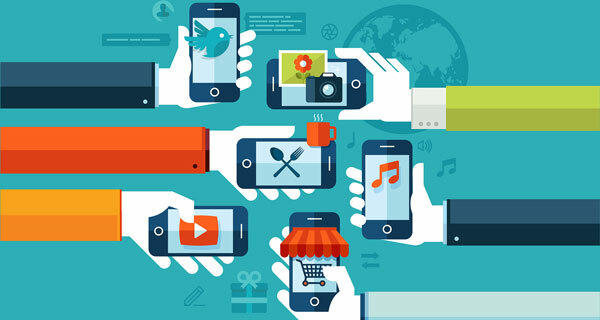 By putting most of their attention into promoting the unique capabilities of their products, companies often forget the importance of communicating how this product makes their lives easier and provides them the desired experience. You need to teach your audience how to solve a problem and where to seek for help if they need it. The best approach to this problem is to not mention your business until the call to action at the end. It is necessary for people to share your content so that you or your client look like experts in the field. Create a good story that communicates your product to the audience in a way that is easy for them connect with it, giving them a unique experience that will encourage them to buy it and share their experience with others. Marketing your product via the social media is a great and necessary way to drive traffic to it. But you need to keep in mind that every social channel works in its own way. Twitter users like to be able to share links and have the information condensed into a basic overview. On the other hand, Facebook users are looking for content that they can “like”, leave detailed comments and share with friends with common interests. However, the audience on Facebook and Twitter is usually different from the one on LinkedIn and other professional networking websites. The content that you write there needs to keep a more professional tone, catered toward a more professional audience. You also need to have your marketing plan cover all the bases, not just your site and social media. Have every aspect in mind, including customer service and current ads. A common mistake for many companies is neglecting the way a potential customer interacts with their website, in order for him to convert. It is essential that you design your website in a way that it provides the necessary information at the right time. A website must have clear paths for the visitor to be taken to where they need to be. Your website’s aesthetics are important, but you need to make sure that they don’t get in the way of what is important. An essential feature of your website is a prominent logo. Your logo needs to be designed with the customer’s viewpoint in mind. It mustn’t be too complicated, and rely on cliché trends and too many or inappropriate fonts. It is essential that it is unique and original. Another important feature are your CTA-s. They need to be obvious and brightly colored, with a proper action word that encourages the visitors to do something. You need to make sure that you blend your content marketing with your SEO. Search engine optimization is the necessary path to driving traffic to your website and therefore to the product, as well as to minimizing the cost of your customer acquisition efforts. You need to keep in mind that SEO is more than using appropriate keywords and phrases in order to improve your ranking in SERPs. Next to knowing which the essential keywords to target are, you also have to use them consistently throughout your content, including them in title tags and paragraph headings. Don’t forget that, as creating your product didn’t come overnight, the same goes for your marketing campaign. In the end, it boils down to trial and error, and will it will require you to revise and refine it. If you have these common mistakes in mind and do your best to avoid them, your product will be on its way to success. Steven Clarke is business consultant at Logo Design Sydney and Seo Reseller. In his spare time, he likes to write about his ideas and share them with the world.